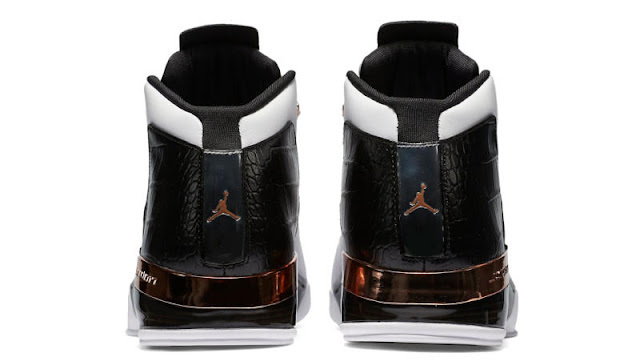 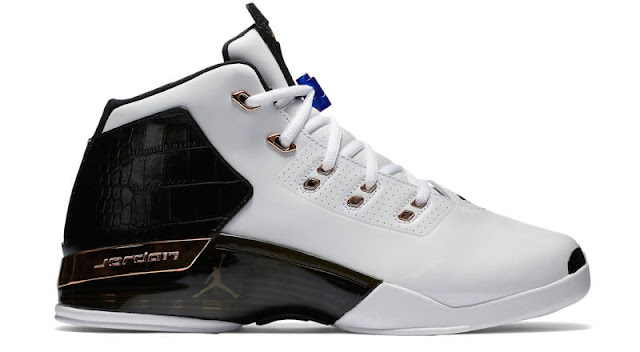 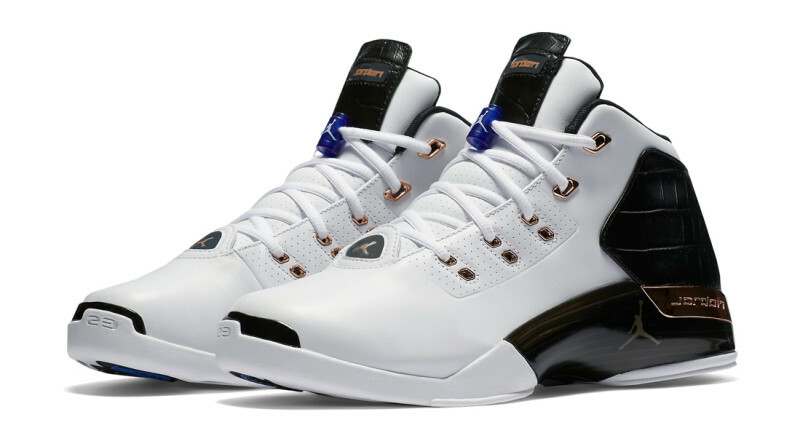 The Air Jordan 17+ “Copper” was originally released 2002 and is making a comeback this April 2016. Dressed in an original color scheme of White, Metallic Copper Coin, Black, and Sport Royal. The shoe is built with premium leather and luxurious hits of Copper and faux Croc detailing embossed on the back end of the shoe. 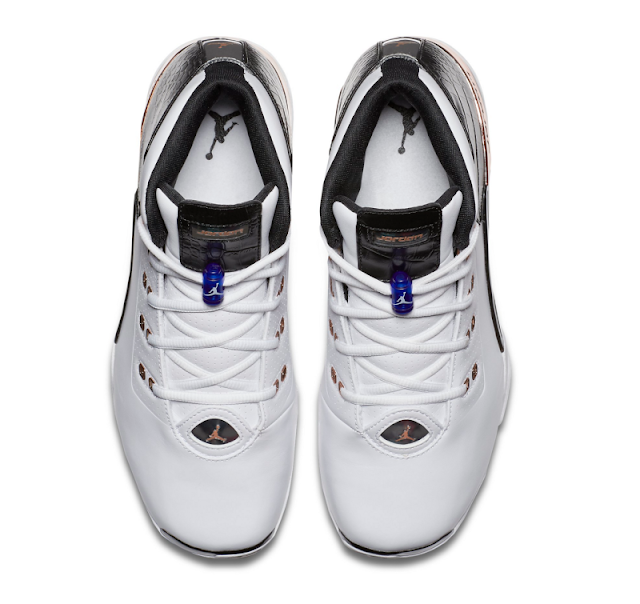 Other details include Sport Royal accents throughout. The Air Jordan 17+ “Copper” will be dropping 9 April 2016 at selected retailers in the country.